Monroe Extinguisher is pleased to offer a new product – Wood Fire Extinguisher Cabinets sized to accommodate a 5 Lb. 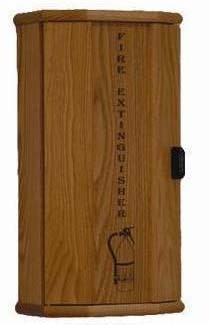 ABC Fire Extinguisher. These quality cabinets feature solid oak construction for lasting beauty and durability. When mounted at the prescribed height, these cabinets are ADA compliant. Heavy duty hardware included for simple installation. 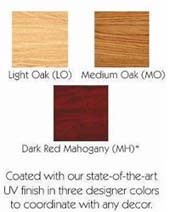 Available in three wood types: light oak, medium oak, and dark red mahogany. Fire extinguisher sold separately.